Or at least that must be how it feels when you’re 11 years old and you find a new coin to add to your collection, only to later discover that old coin is a piece of automotive history. Destinee Melochee, from Windsor, Ontario, was treasure hunting with her father when they discovered a coin buried under a tree in their yard. Using a metal detector, the two have previously found several other coins of less interest, but as he cleaned it off, Robb Melochee began to realize this one was different from the others. Using a bit of spit-n-polish (literally), and good old-fashioned elbow grease, Melochee was able to remove enough of the 80 years or so of dirt and grime that had collected on the coin. Eventually, he wore away enough of it to see the dates on the coin and that’s when his research began. 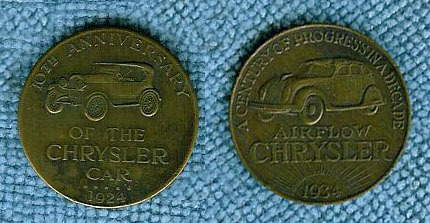 Chrysler issued the coin in 1934 and it was given away at the 1934 Chicago World’s Fair. 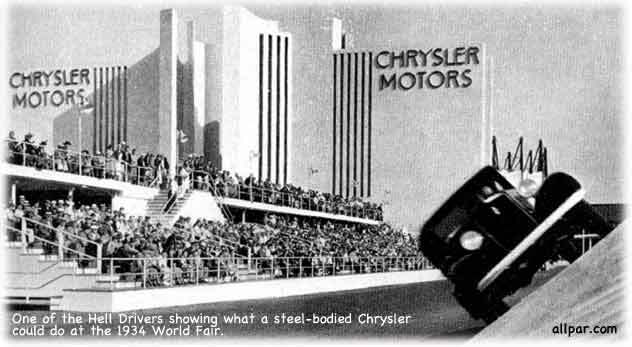 Part of Chrysler’s exhibit that year, every person who stopped by received a coin. One side of the coin celebrates the 10th anniversary of the Chrysler car, with 1924 imprinted across the bottom. The other side boasts a “Century of progress in a decade” and pictures the Airflow Chrysler vehicle. What is the coin worth? Well, let’s just say Melochee won’t be retiring early based on the recent find. But to him, it’s worth much more than just the monetary value. On June 17, 1925, Chrysler Corporation incorporated in Windsor and just last month FCA Canada celebrated 90 years of Canadian operation. Living in an automotive city and finding a piece of automotive history was exciting for Melochee and his daughter.